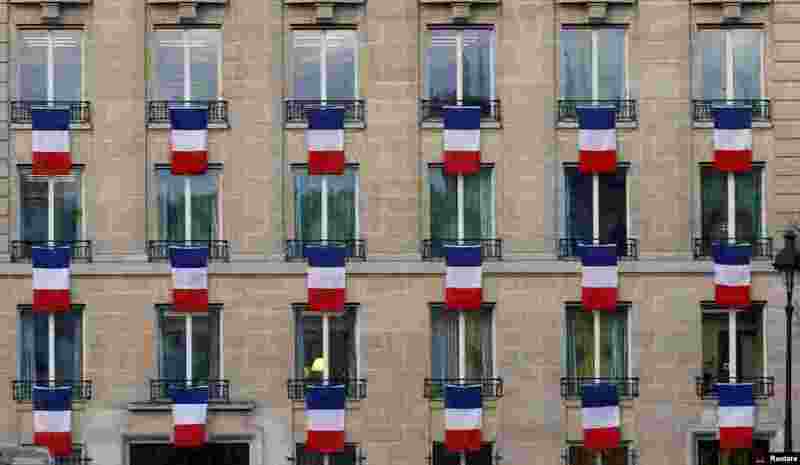 1 French flags hang from the windows of a building near the Invalides in Paris after President Hollande called on all citizens to hang the tricolour national flag from their windows to pay tribute to the victims of the Paris attacks during Friday's national memorial service. 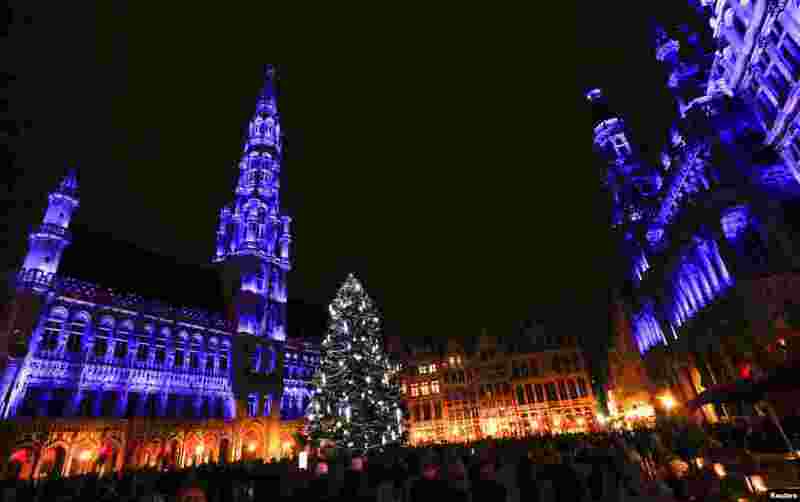 2 Brussels' Grand Place is illuminated during a light show as part as "Winter Wonders" festivities, including a Christmas market and other events in central Brussels, Belgium, following tight security measures linked to the fatal attacks in Paris. 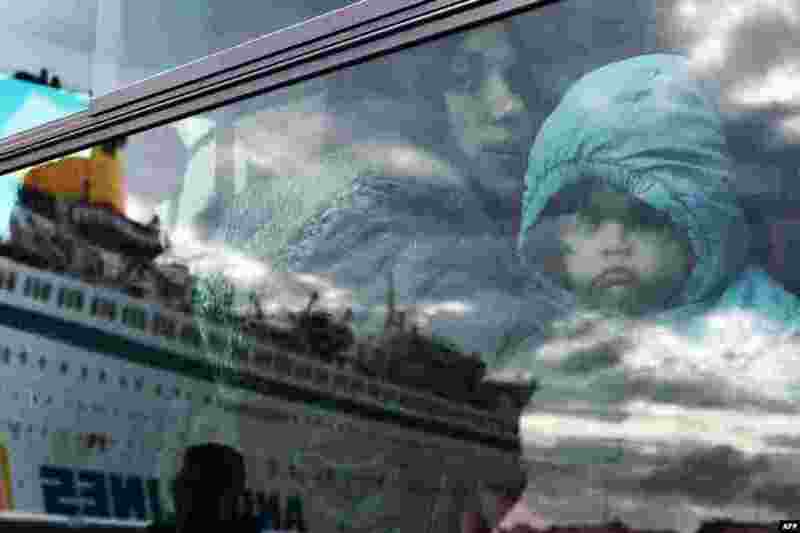 3 A woman and a child peer from a bus as migrants and refugees disembark from a government chartered ferry, seen in reflection, in the port of Piraeus in Athens, Greece. 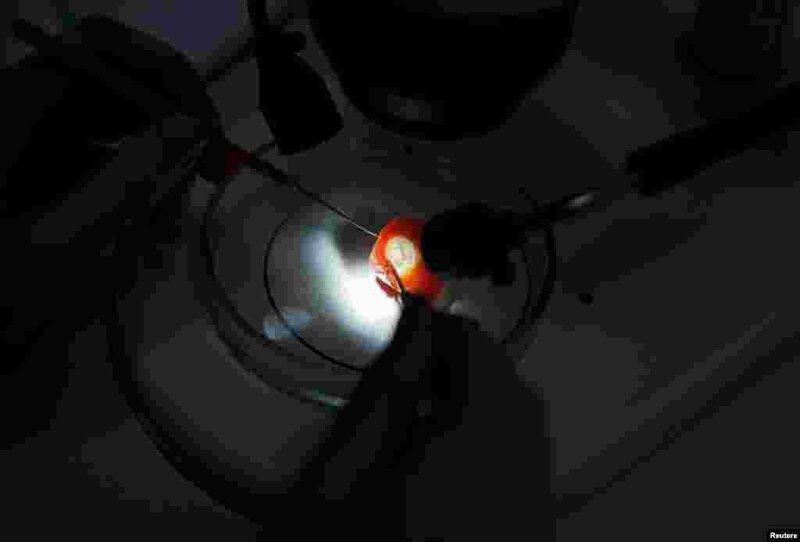 4 A technician at a Russian center for plant quarantine inspects a piece of a tomato imported from Turkey in the settlement of Bykovo, Moscow region, Nov. 26, 2015.